Crash Test Dummies in Montreal or Quebec City? Inform me about the next events for Crash Test Dummies. Enroll yourself to our priority waiting list for Crash Test Dummies to be alerted when new tickets are available. Filling this form doesn't engage you to any purchase. 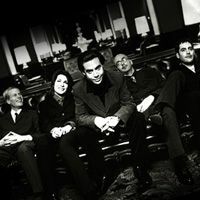 The Crash Test Dummies will be performing in Montreal on October 16th, 2010, at Cabaret Juste Pour Rire. The Winnipeg pop folk group went big in 1993 with their second album God Shuffled His Feet, which featured the massive hit single Mmm Mmm Mmm Mmm. Two years later, the Crash Test Dummies added to their popularity with the adult alternative hit The Ballad of Peter Pumpkinhead, which was featured on the soundtrack of the blockbuster Dumb & Dumber (with Jim Carrey). Even though they never got as popular as they were in the 90's, the Crash Test Dummies kept making records, mainly on their own label. After a few years off, two of the main members reunited to release a new album entitled Ooh La la in May 2010.